 Our next speed dating event on Thursday June 11 2015 in Bogotá, Colombia from 8:00 p.m. – 11:00 p.m. The suggested age range for men and women is (26 – 45 yrs. old). Two beverages are included. You will have the opportunity to meet between 10 – 15 professional men and women- doctors, lawyers, engineers, business owners, etc. in a festive ambience. There is a round of 10-15 mini-dates in which you can qualify the men or women on your dating card. The hosts of the event will collect your dating card at the end of the event and send you an e-mail within the next 24 hours with your matches and their contact information. After that, you can feel free to call them and schedule your next date.